Take a moment to consider an assignment you often use in your courses. What are the skills and concepts students need to successfully complete the assignment? 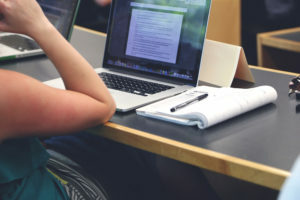 Things that come to mind might be: selecting an appropriate topic, conducting background research, locating, selecting and evaluating scholarly articles, analyzing a text, and synthesizing research from previous literature. Each of these components require further detailed skills and conceptual understandings. For example, what is background research beyond checking Wikipedia? Where do you go to find additional background research? How do scholars produce information? Do anthropologists produce information differently than other scholars? Is there enough relevant information for the topic? What type of information is needed? These skills and concepts are built up over time and it is often unclear how students acquire them and at what point in their academic careers. An additional challenge is which of these skills and concepts apply to learning regardless of field and which need to be addressed in a disciplinary specific context. As academic librarians, we regularly work with students grappling with the requirements for completing research assignments. We receive questions asking us to clarify assignment details such as explaining the specifics of an annotated bibliography or literature review. Students understand that they are being asked to use credible, reliable sources but are often unsure what that means, particularly in an anthropological context. While they may have used scholarly monographs or peer-reviewed journal articles for prior assignments, they are often bewildered by disciplinary specific requirements such as archaeological site reports or limiting articles to those found in anthropology specific journals. Librarians regularly partner with teaching faculty to conduct sessions that introduce library resources and services, and address information literacy learning goals. 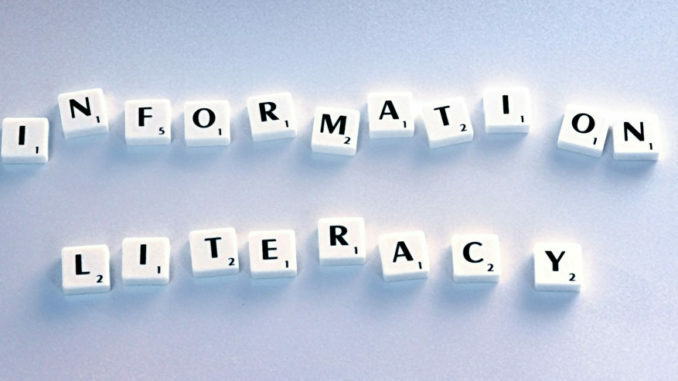 While there are variations to the definition of information literacy, we will work from one put forth by A New Curriculum for Information Literacy (ANCIL): Information literacy is a continuum of skills, behaviours, approaches and values that is so deeply entwined with the uses of information as to be a fundamental element of learning, scholarship and research. It is the defining characteristic of the discerning scholar, the informed and judicious citizen, and the autonomous learner. Scholarly societies from across the globe have created frameworks, standards, and other approaches for integrating information literacy into secondary and higher education. Over the past 20 years, these sessions have been entrenched in a model focused on demonstrating library databases, developing search strategies, and identifying scholarly sources. But how do we move beyond a single session attempting to cover all the skills and concepts students need to be disciplinary researchers and lifelong learners? How might librarians and teaching faculty collaborate to build the critical thinking skills necessary to analyze information sources and how they are produced within anthropology and beyond? We are working on an article that explores a theoretical foundation of information literacy situated within anthropology, partnered with examples from our own teaching experience. Our aim is to highlight collaborative partnerships between anthropology faculty and librarians that focus on fostering critical thinking skills and concepts crucial to student success and lifelong learning. We will illustrate how these collaborations moved information literacy instruction sessions beyond database demonstrations and simple source evaluations to engage students in critically examining information creation, dissemination and access in both in-person and online learning environments. How do we introduce students to thinking anthropologically?